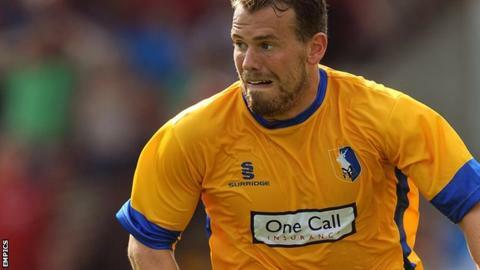 Mansfield Town winger Louis Briscoe is the latest player to be released by the League Two club. The 26-year-old, who joined Mansfield in 2009, made 199 appearances and scored 34 league goals for the Stags. However, he made just three appearances for Mansfield on their Football League return last term, and went out on loan at Conference Premier side Nuneaton. Briscoe is the 11th player to depart Field Mill, with striker Ben Hutchinson among 10 players released last week. Briscoe's goals against Lincoln City in the FA Cup second round tie and subsequent replay set up a meeting with Liverpool in 2013.